Are you planning a Bar/Bat Mitzvah, wedding, or other special event? 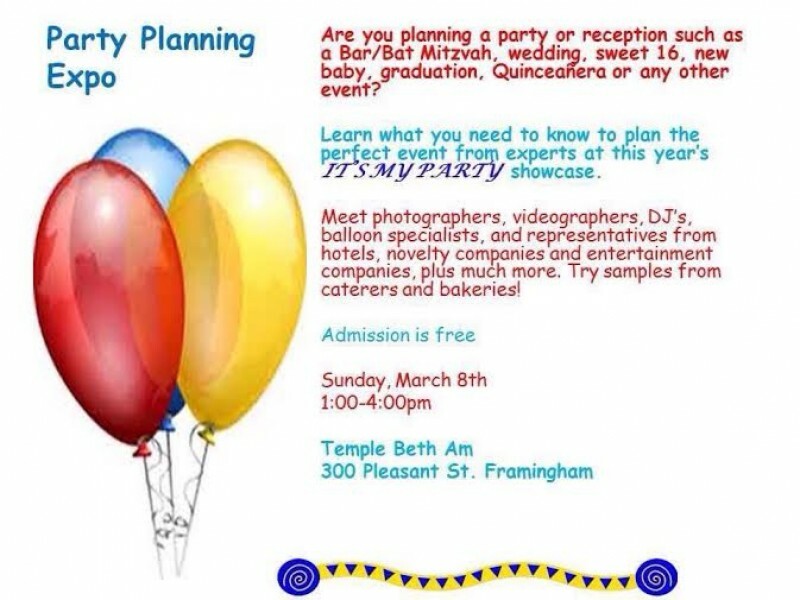 Come meet Press Play Entertainment, this Sunday March 13 (1-4pm) at Temple Beth Am in Framingham. We will be one of many great vendors at their annual “It’s My Party” expo! Admission is free and open to all! Attendees of the event will receive special discount pricing on our 2016-2018 DJ packages, so do not miss out! Hope to see you there! Contact us for more details!